Moonfish brings to the gaming world a whole new level of gaming experience with our innovative game design and next-generation computer graphics and animation technologies. Here at Moonfish we believe the quality of a game is defined collectively by gameplay, artistic and technical innovations. Our team of game designers, artists and software engineers thrive to set new standards for gamers all over the world. Moonfish provides professional development and consultancy services to clients of all industries. We leverage our experience in mobile game development and Internet-scale infrastructures to bring our clients innovative and scalable solutions for their needs. Be it a mobile game, app, web-based system or full-stack business solution, we get to fully understand our clients’ needs and tailor-make the right solution for them. Having released two highly successful space adventure games in Galactic Phantasy and Galactic Phantasy Prelude, our team at Moonfish wanted to do something totally different so we decided to have some fun with our unique blending of the 80s’ retro art style with the latest 3D graphics technology. Bundled that with our advanced Smart AI Clone system, where the player's virtual-self would inherit his/her playing behaviors and stats and would play against challengers while he/she is offline. Demon Blitz also features refreshed soundtracks of chiptune remix of Mozart & Beethoven classics, with rhythm-synchronized in-game battle effects. Shoot your way through hundreds of levels in this unique 3D retro-style funny adventure. Engage in one on one battles with your friends. Upgrade your gear and unlock new ones from an ever growing collection of unique sets. 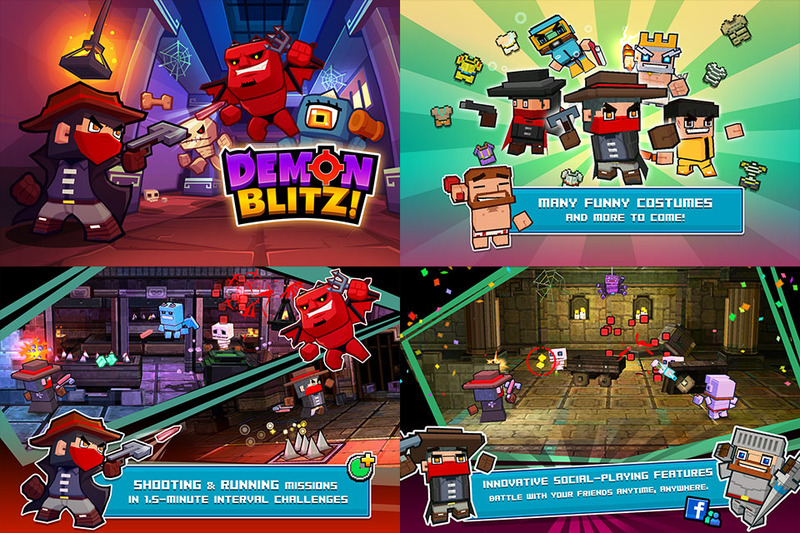 A brand new social shooting game, Demon Blitz features an innovative social-playing system where you can ask your friends to join your battles anytime, anywhere, even when they are offline. Worry no more about network hiccups. Put your friendship to test on the battlefield. Let your friends shield you from the enemies, or even grab their armor scraps and gain yourself better gear! Stay loyal or opt for betrayal, it’s your call! 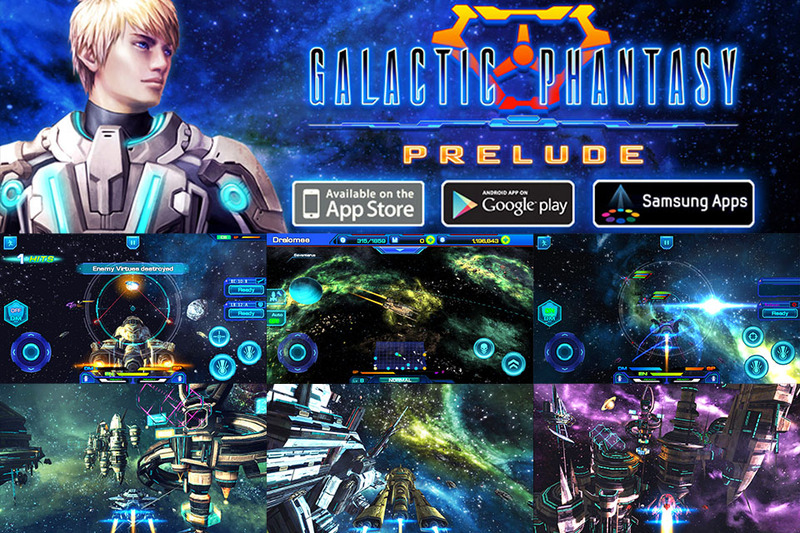 Galactic Phantasy Prelude (GPP) is the prequel of the highly rated Galactic Phantasy. GPP features an open world where you get to explore the world and seek your own path. As a space adventurer you can make a living by trading commodities or you can go all the way to rob those trading spaceships. In combats, you can fit your ships with all the different types of equipment to align with your battle strategies. You’re free to make all those decisions. 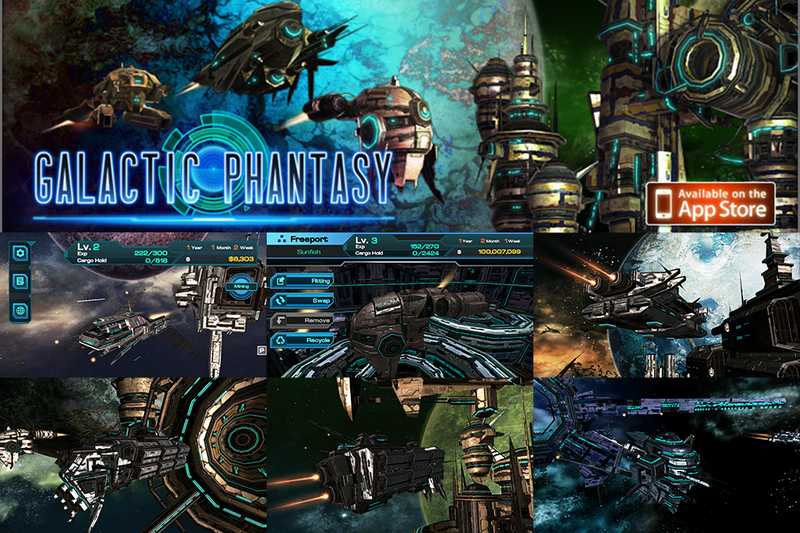 Galactic Phantasy (previously named Galaxy Pirate Adventure released under our previous company name Sunfish Studio) was our first flagship title. It was first launched back in 2011 when we pushed the then-new iPhone 4S and iPad 2's hardware capabilities to the limit with the introduction of a number of new mobile gaming technologies like metallic shader effects. The game was featured by Apple on the App Store just a couple weeks into initial launch, and was rated highly by game critics worldwide. GP was Gold Award Winner of the 2012 Hong Kong ICT Best Digital Entertainment (Entertainment Software). 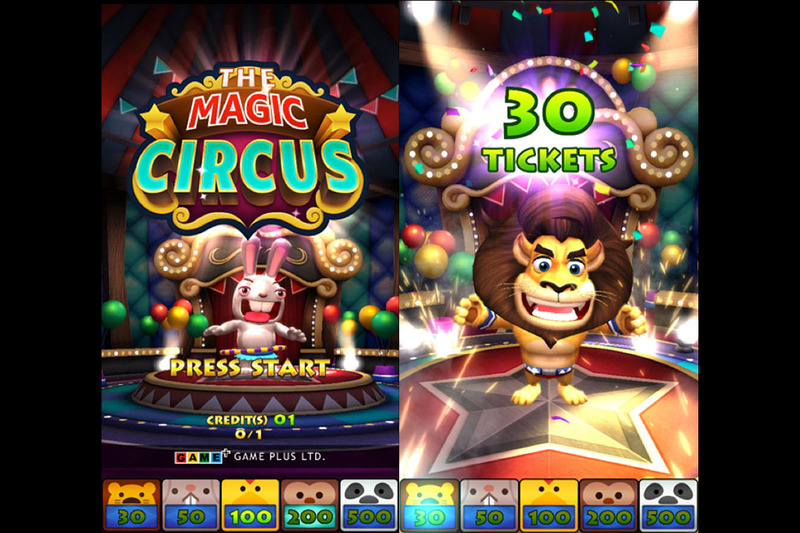 With the Magic Circus we bring our art and technical expertise to the arcade platform. Coming from screen sizes of several inches on the mobile, we go all the way up to 60-inch screens for this client project. The game features a simple yet addictive game loop with lots of high quality graphics. Yet, contrary to what we usually do on our own titles where we push our next generation mobile hardware and cloud infrastructures to the limit, this time around we went flexible and managed to put our modern graphics and gameplay on some limited hardware. Our client, Game Plus Limited, is a game machine distributor based in Guangzhou, China. The South Beach, one of Asia’s most anticipated hotels, engaged us to create their official mobile game to celebrate their grand opening in September 2015. The South Beach in Singapore is a 654-room-and-suite Luxury & Lifestyle H.I.P. Hotel located at the south of Beach Road in the Marina Bay area, and stands as a visionary development at the gateway to Singapore’s thriving city centre and historic Civic District. 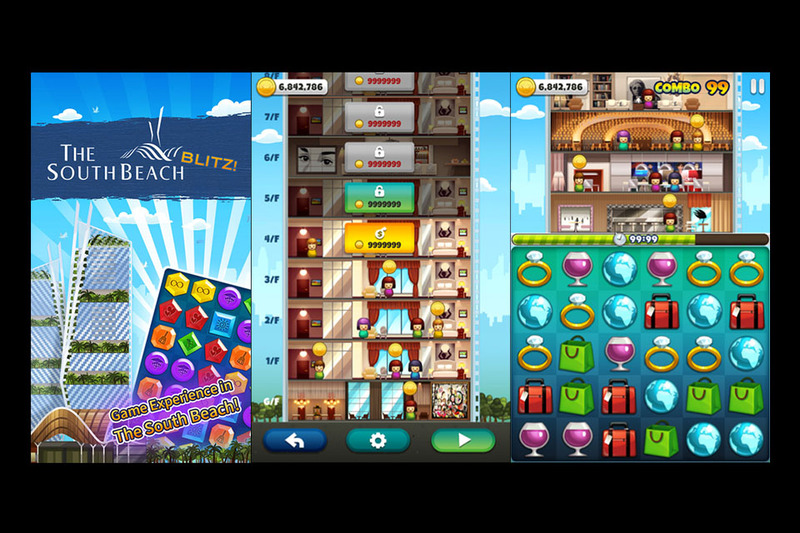 The South Beach Blitz is available on Google Play. Blackjack Impossible marks TGG's first mobile game launch and Moonfish is proud to be their technology partner to bring their gaming franchise up to the cloud, kick-starting the world 1st “Landbase + iGaming” omni-channel gaming platform by integrating the fun of interactive entertainment with rich gaming experience. Our client, TGG Interactive is a new online gaming company under Neway Group Holdings, a Hong Kong main board listed company (stock code 0055.HK). TGG features an astonishing 200+ titles ready for gaming operations in most Landbase and iGaming jurisdictions worldwide. On top of the traditional game of chance theory and mathematics, TGG’s renowned “Game of Control” concept means to bring the new generation of interactive entertainment elements into gaming, creating a sense of “Skill + Control” by allowing players to interact with the winning pattern without affecting the actual payout. 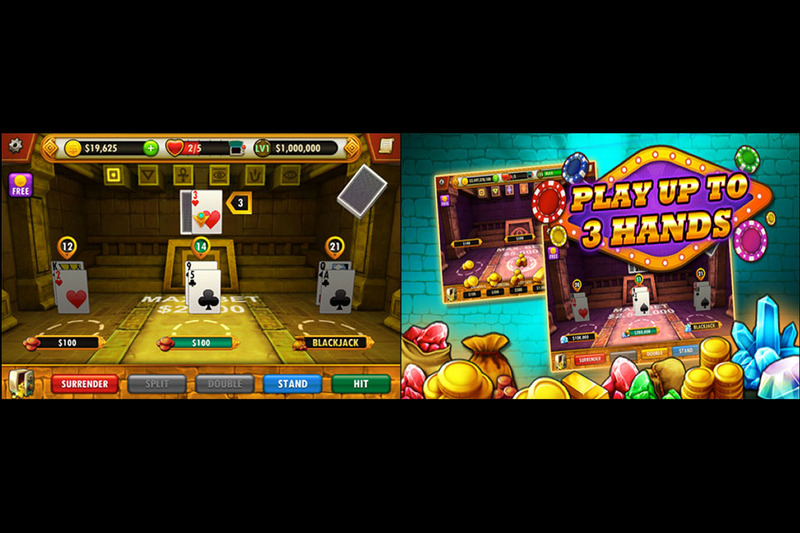 Blackjack Impossible is available on both Apple App Store and Google Play. We are proud to have helped a variety of clients to fine tune their ideas, execute their strategy and deliver some great products. Shoot us a message, give us a call, come visit us. We love to talk about ideas and show you how we plan to realize them.